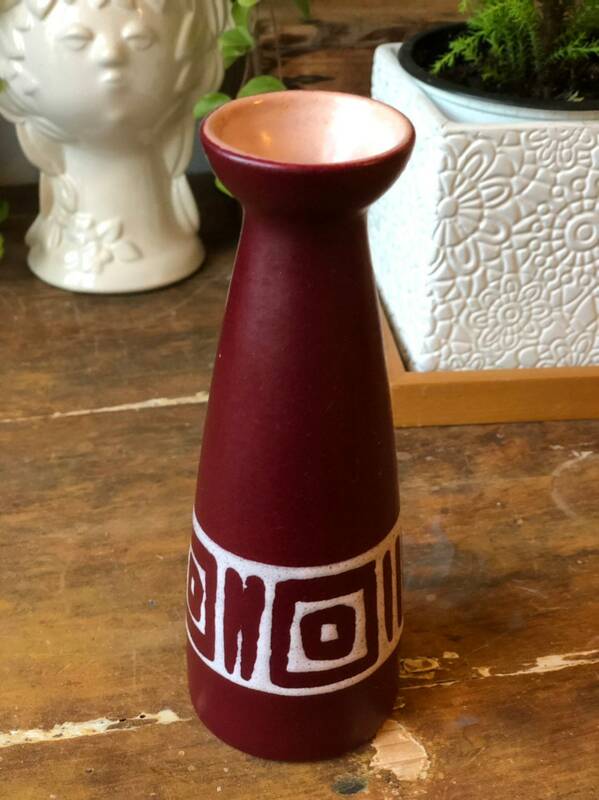 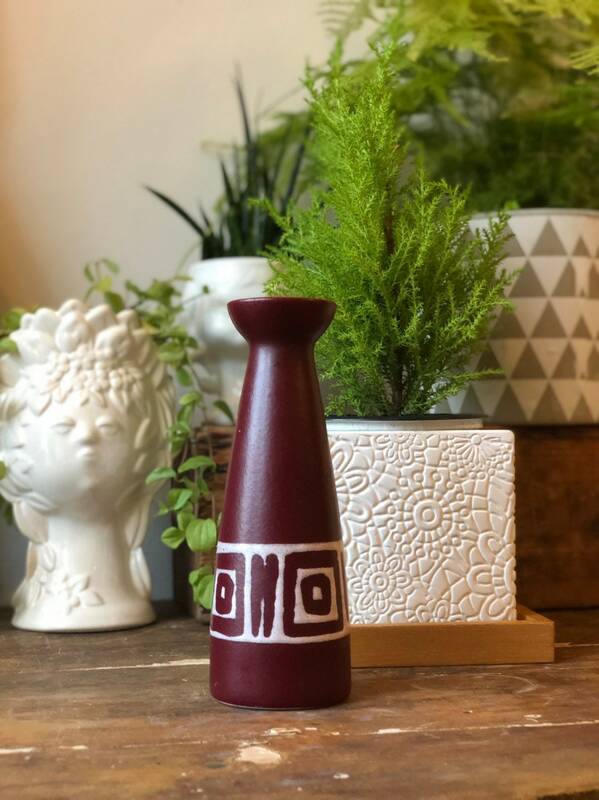 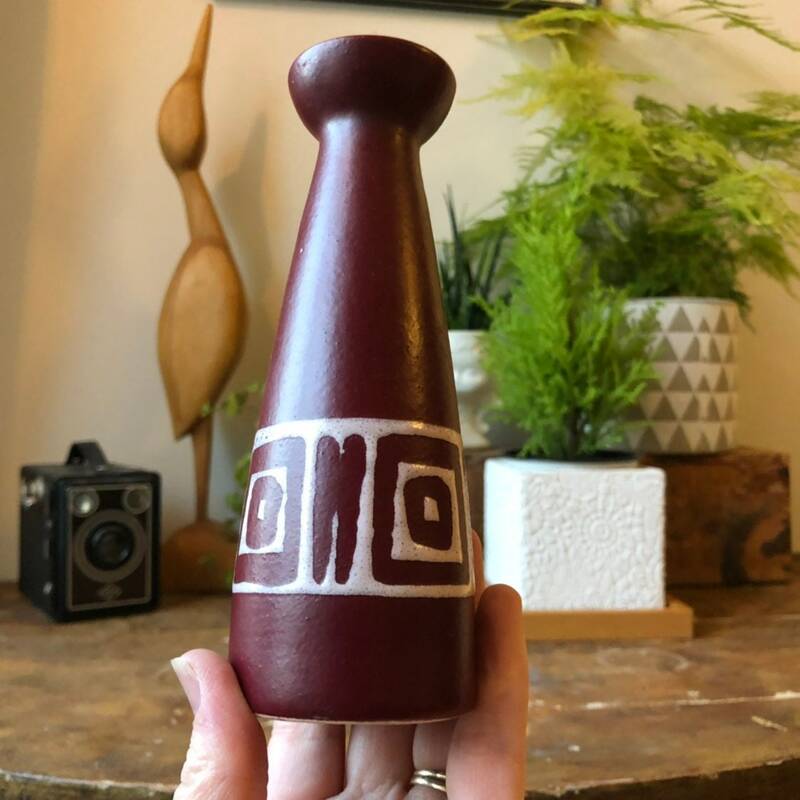 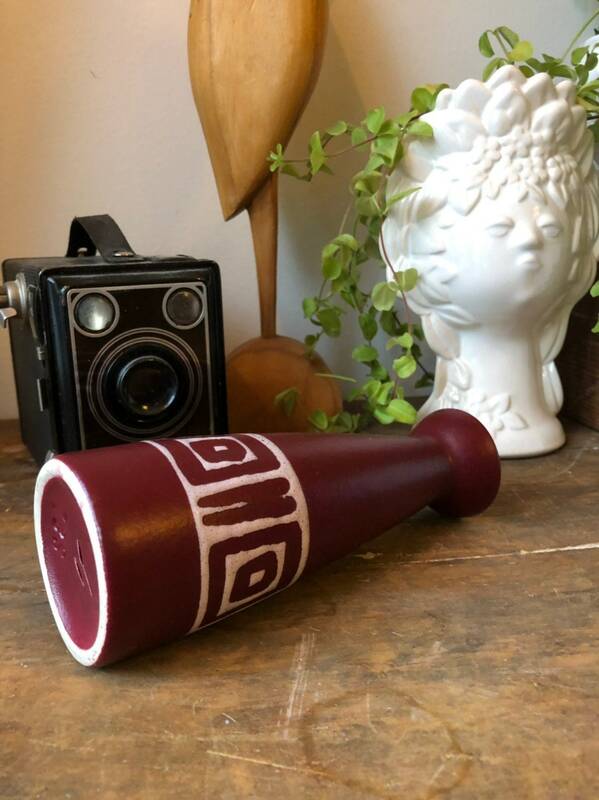 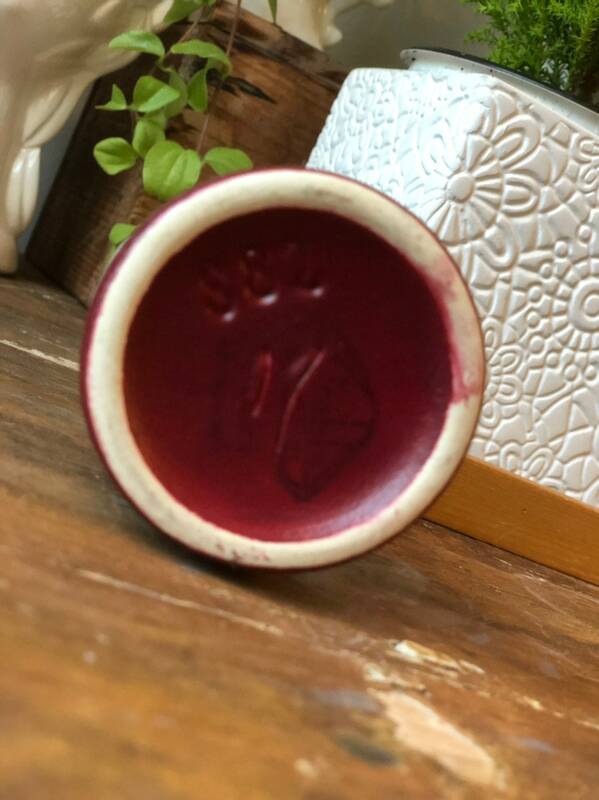 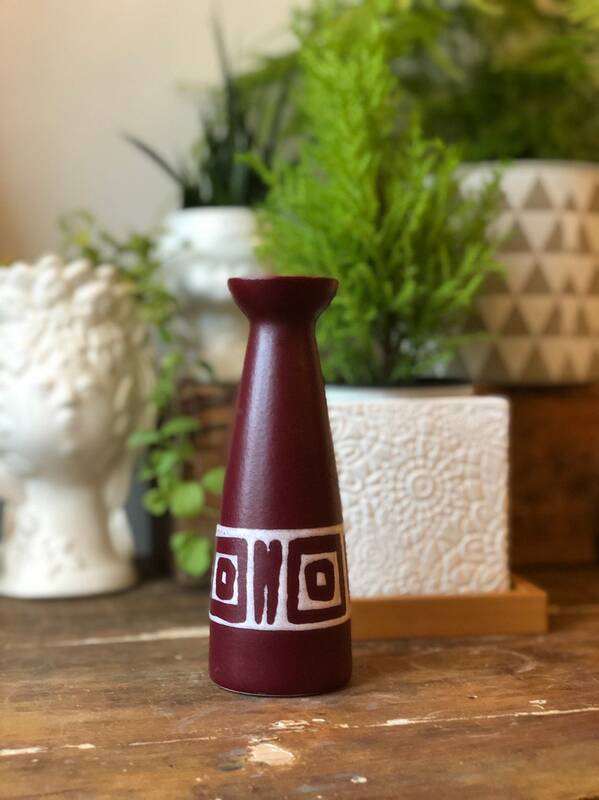 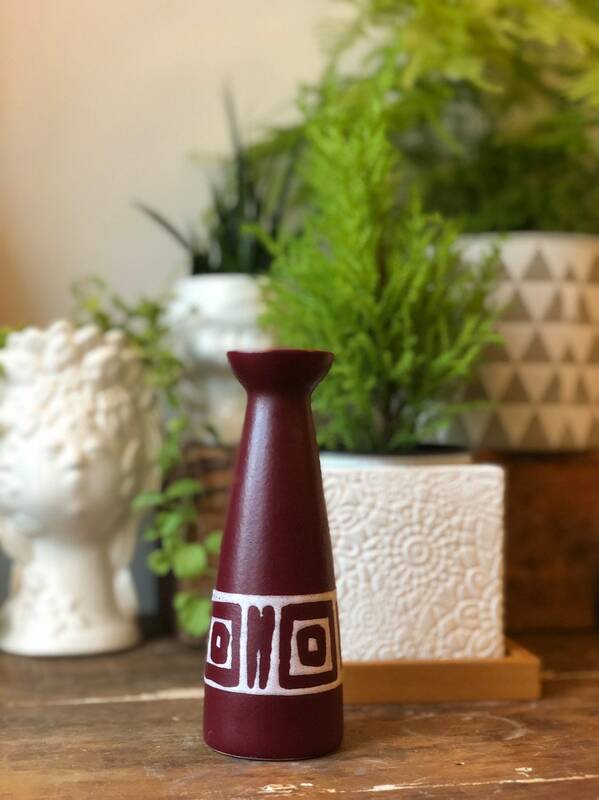 This is an eye-catching small vintage Strehla fat lava West German vase in dark wine red with a geometric pattern in white . 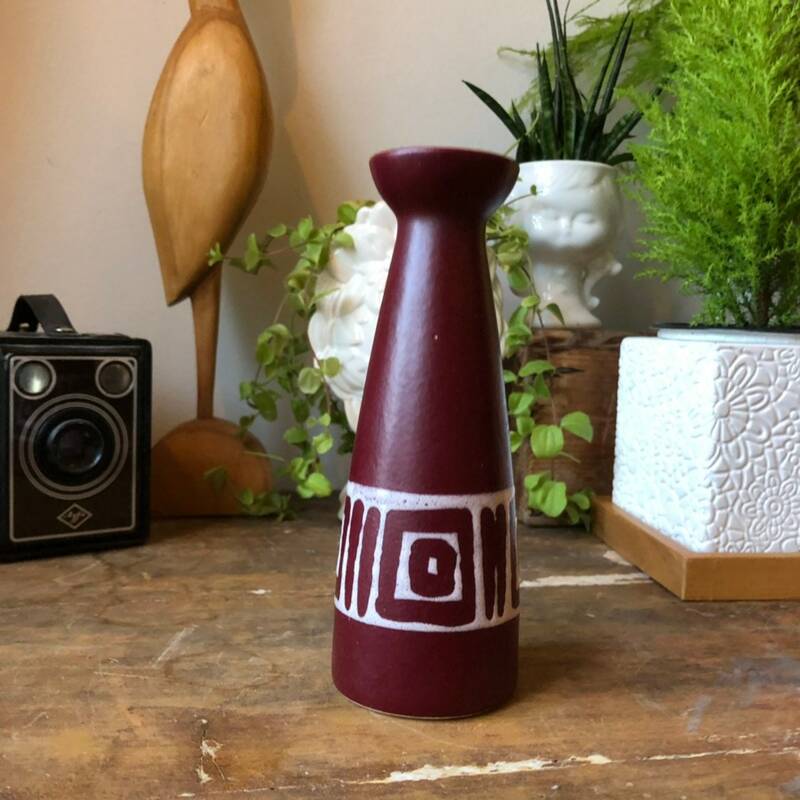 The pattern gives it a modern feel on a retro shape. 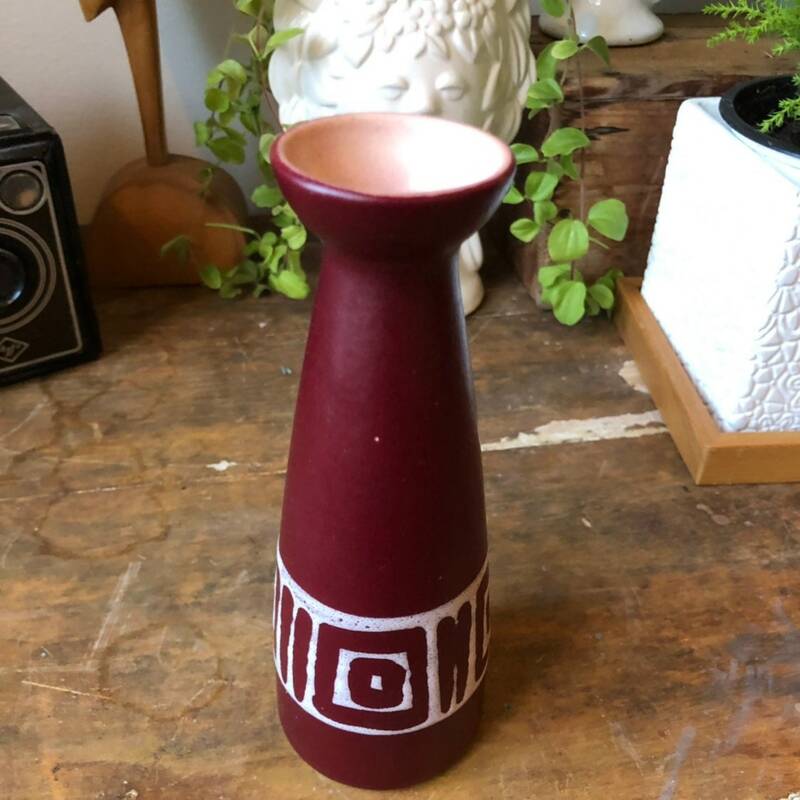 It stands 16 tall, and is in excellent vintage condition. 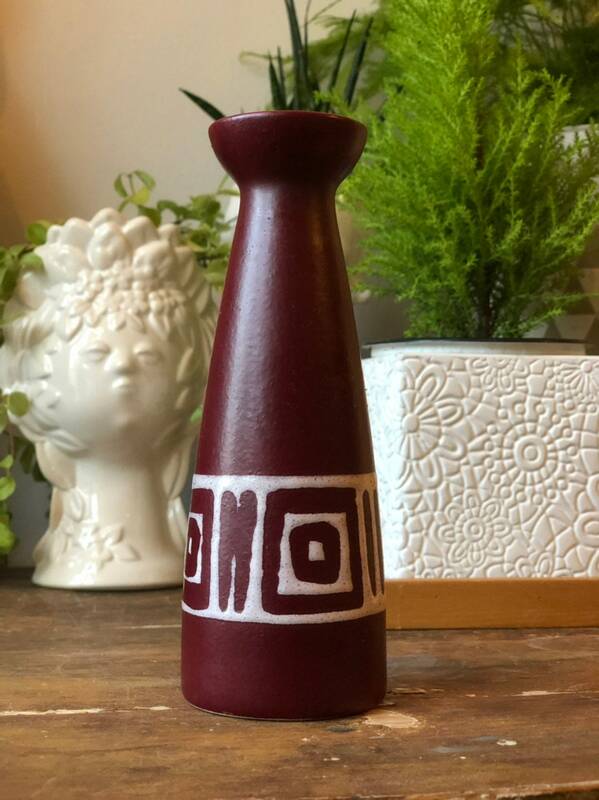 It stands beautifully on its own and adds a great pop of color to an arrangement.